On the 13th (Sun), don't miss a visit to Santa Claus Office and then get in on the family fun at Santa Claus Village. 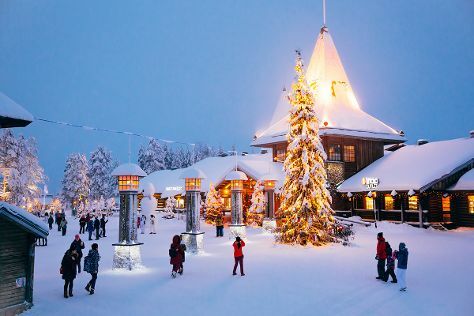 Plan my Rovaniemi trip by asking Inpirock to come up with tips and suggestions. Helsinki to Rovaniemi is an approximately 4-hour flight. You can also do a combination of flight and train; or drive. Prepare for little chillier weather when traveling from Helsinki in January: high temperatures in Rovaniemi hover around -10°C and lows are around -17°C. Finish your sightseeing early on the 13th (Sun) to allow enough time to travel back home.